The Turkish ambassador to Qatar has confirmed that Turkey plans to deploy air and naval forces to its base in the country, while the United States has pledged to confront “external threats” to Qatar’s sovereignty, according to reports on the Qatari news network Al Jazeera. 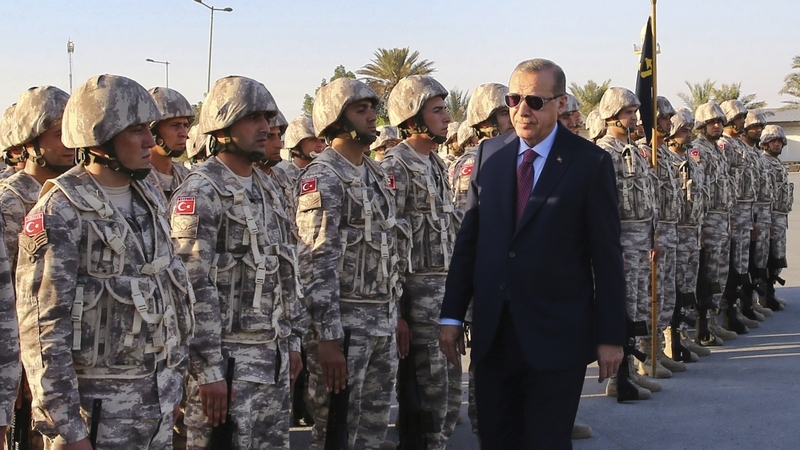 Turkey signed a deal with Qatar in 2014 to deploy troops to a base south of the Qatari capital city of Doha. The deal was fast-tracked through Turkish parliament after the outbreak of the Gulf crisis in June 2017, when Saudi Arabia, the United Arab Emirates, Bahrain and Egypt accused Qatar of supporting terrorism, cut off diplomatic ties and began a blockade of the country. Fikret Özer, the Turkish ambassador to Qatar, said that Turkish air and naval forces would be joining the ground forces already deployed at the Tariq Bin Ziyad military base once the required infrastructure was in place, but declined to give a timeline on this. The base can accommodate up to 5,000 soldiers, though Özer said it was up to Qatar to disclose how many were currently stationed there. Turkey-Qatar deal signed in 2014 enables deployment of Turkish air, naval forces in the Gulf state, Turkish envoy says. 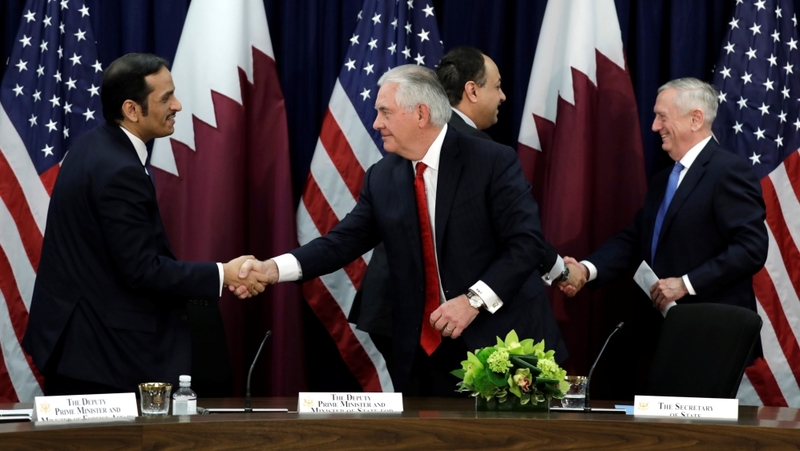 Another piece of good news for Qatar came from the United States, where high officials including U.S. Secretary of State Rex Tillerson met a Qatari delegation to discuss the Gulf crisis on Tuesday.